The sun set forever last Sunday over a real part of Los Angeles history. 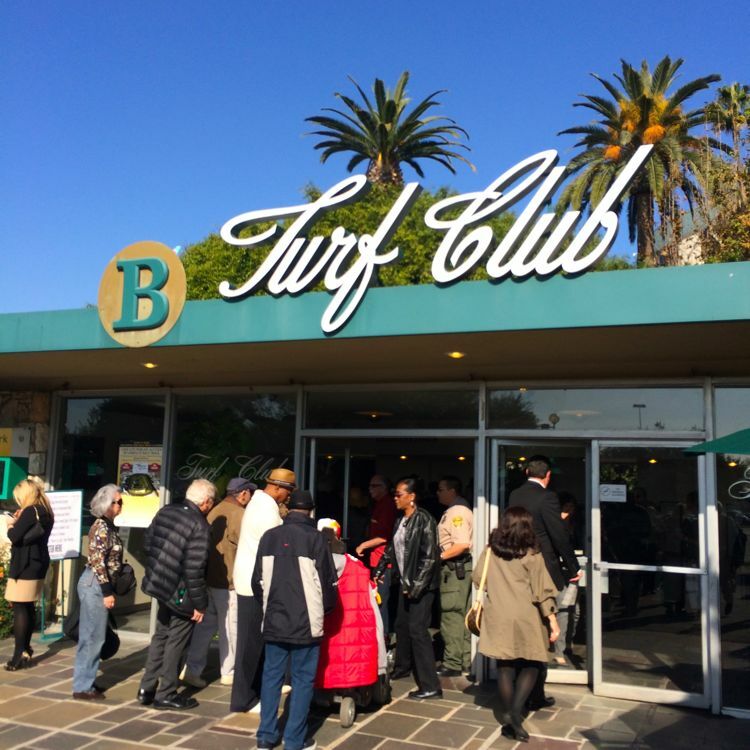 December 22nd marked the final day at Hollywood Park Racetrack in Inglewood, an old school landmark that had been hosting the ponies for 75 years. It is the sad ending of an era, going back to the grayness of the depression, when a day at the races was an outing, an adventure and a distraction from life’s complicated worries. 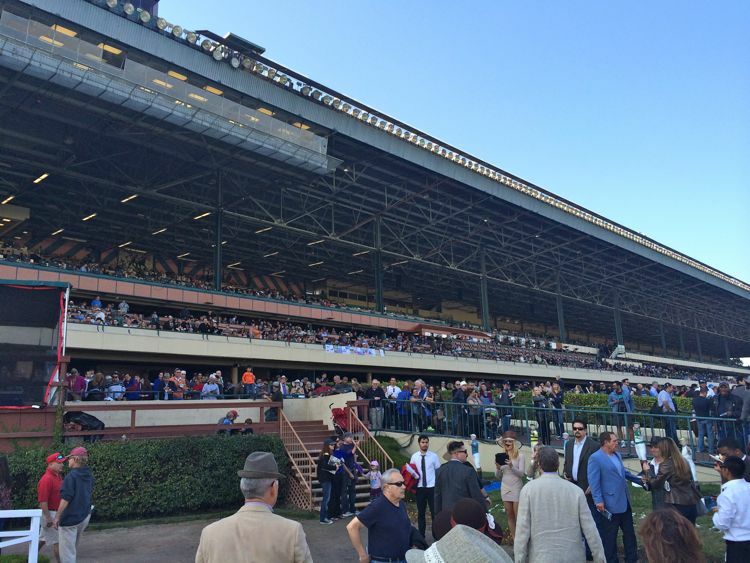 Hollywood Park is yet another hapless victim of “development.” This legendary and iconic track will be razed for cookie-cutter housing and retail shops in an investor’s pathetic bid for homogeny. 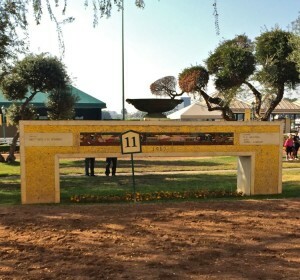 Built in 1938, Hollywood Park was the third and final horsing track to be opened in Southern California after Santa Anita (1934) and Del Mar (1937). 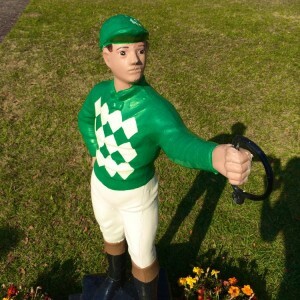 Going to the races became one of the trends of the hardscrabble decade when the country needed hope and luck to survive a scary financial time. Before this, the beloved sport of horse racing in America had died a scandalous death after a string of race-fixing incidents caused many states, including California, to make betting illegal. In 1900 the United States had 300 working racetracks, but by 1908 only 25 were left. 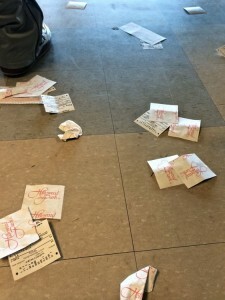 A chance to fill depression depleted coffers convinced the California legislature to legalize horserace betting in the Horse Racing Act of 1933, paving the way for the sport’s golden era. A total of twenty-one other states followed suit. The first winner of Hollywood Park’s Gold Cup was the legendary horse, Seabiscuit, who’s monumental underdog wins inspired the grey skied, gloom-filled country into believing that miracles were indeed possible. Hope could prevail when the grandstand hosted Hollywood’s brightest shining stars including Bing Crosby, Jimmy Stewart, Al Jolson, Cary Grant and others. In fact the original chairman of the park was Harry Warner of Warner Brothers Pictures. 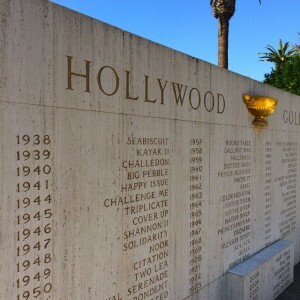 Throughout its 75-year history, Hollywood Park rode the wave of the times, closing briefly between 1942-1944 when WW2 turned it into a storage facility. Santa Anita during this time served as a Japanese Internment Camp, so things could have been much worse. Throughout the decades that followed the races ebbed and flowed in popularity. A fire in 1949 caused the clubhouse and grandstand, which eventually seated 10,000 people, to be rebuilt. The crowds would come out in droves, however, to follow “star” horses, like Native Diver, a Hollywood Gold Cup winner from 1965-1967, who was eventually buried at Hollywood Park. 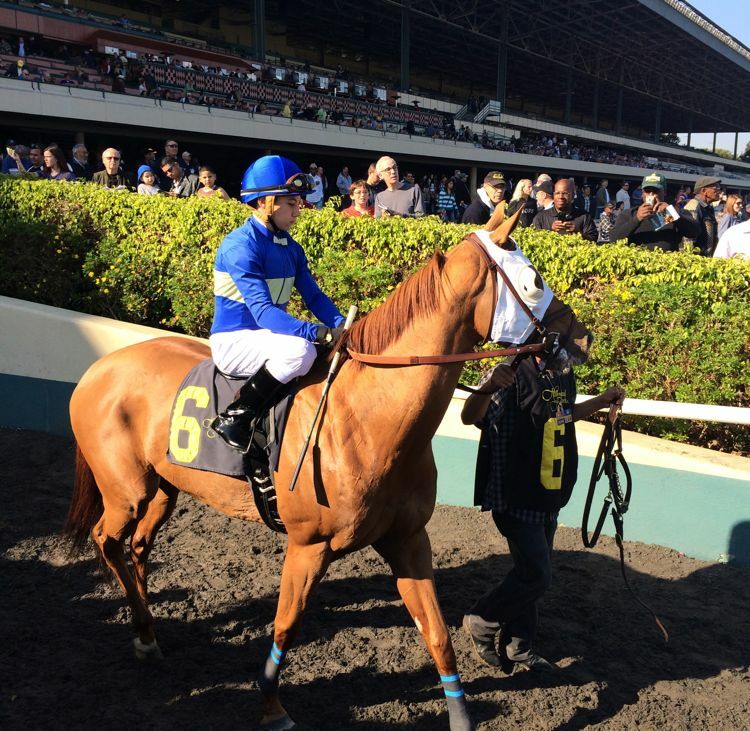 His monument will be relocated to the Del Mar track before demolition begins. 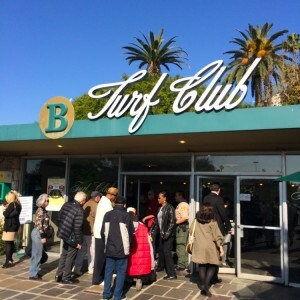 Hollywood Park is also notable for being one of the favorite hangouts of the beloved drunken poet, Charles Bukowski, who thrived on the unpredictable thrill of the ponies. The park’s final day saw 13,000 visitors, double the amount of a normal weekend’s paid attendees. The gates were opened to free visitors after 2pm, so the final day’s count far exceeded that number. It is truly a sad day when we lose a part of Los Angeles history due to greed and the ridiculous idea that an upscale condo complex with generic shopping opportunities might better serve a community. Lovers of the offbeat, the historical and the kitschy things about our city can do our best to celebrate these places, but many will still disappear as time goes by. So get out of the house and cherish these places while they are still around. Love them, write about them, photograph them, film them… We are still lucky to have many gems so central and available. Do your part and go see them! This entry was posted in Miscellanious, Offbeat LA. Bookmark the permalink. Old school maybe, but I remember going to see Devo there one night after the races. The track rocked!